The arguably most important bill of the 2019 legislative session—one that will likely drastically affect a significant sector of the state’s economy, jobs and tax revenue—was given final approval on a recorded Third Reading vote this morning by the Colorado House of Representatives. The vote follows a lengthy, almost six-hour Second Reading debate on the House Floor last night. In recent legislative history, there has been no comparable legislation to SB-181, “Protect Public Welfare Oil And Gas Operations,” that would impact a major economic sector in Colorado to the extent that this bill may do. The proposal was introduced in the Senate on March 1st, approved by three committee and passed by the Senate on March 13th. It was introduced in the House on March 14th, approved by three committees and passed by the House today. In other words, the Democrat-controlled legislature took only 28 days of the 120-day session to essentially pass the bill, although a little house-keeping remains to be done until the bill goes to Governor Jared Polis (D) for his signature. Because SB-181 was amended in the House Appropriations Committee and by the House yesterday, the bill returns to the Senate for concurrence. If the Senate agrees with the House amendments, the bill then goes to the Governor. Two studies issued this month spotlight the importance of the oil-and-gas sector to the Colorado economy and the potential impact of SB-181 to harm the sector and the overall economy. Employs 89,000 workers in “upstream and mid-stream” jobs alone, not counting those in such “downstream” jobs as retail oil-and-gas operations. $84 billion less state domestic product for the period 2020-2030. What does SB-181 Mean to Colorado? In broad terms, the bill will essentially establish the statewide regulation of the industry by the Colorado Oil and Gas Conservation Commission as the floor and allow local governments to impose additional regulatory requirements on the industry. Under SB-181, the industry would face a patch-work of decisions and policies put in place by local governments, which could, among other things, decide where operations could be located relative to businesses, schools and residential areas. Sponsors of the bill are House Speaker KC Becker (D-Boulder), Representative Yadira Caraveo (Thornton), Senate Majority Leader Stephen Fenberg (D-Boulder) and Senator Mike Foote (D-Louisville). The House Third Reading vote of 36-to-28 was noteworthy in that four Democrats defected from their caucus and voted with the minority Republicans against the bill. The lengthy Second Reading debate last night featured 12 amendments added to the measure and seven amendments defeated. The bill passed the Senate on a party-line 19-to-15 vote. Prioritize health, safety and the environment above production for the state commission that governs the industry and decrease representation on the commission of people with backgrounds in the industry. Provide local governments with greater authority and discretion to regulate the industry. This bill modifies the composition and the regulatory charge of the Colorado Oil and Gas Conservation Commission (COGCC) in the Department of Natural Resources (DNR), expands the regulatory charge of the Colorado Department of Public Health and Environment (CDPHE), imposes new requirements on oil and gas operators, and provides additional regulatory authority over oil and gas operations to local governments. The Chamber’s Energy & Environment Council is opposed to Senate Bill 181 based on a number of concerns. First of all, the bill repeals the requirement that the commission take into consideration cost-effectiveness and technical feasibility when regulating the industry. While the Senate did amend the bill to include a necessary and reasonable standard to protect public health, it is not clear how this applies to the commission’s regulatory authority. Repealing the cost-effectiveness and technical feasibility language might allow a regulatory body to place standards on an industry that may be impossible to meet. We are concerned about the impact this may have on the industry and Colorado’s economy, as well as, the message it sends to any company considering moving to or expanding its operations in Colorado. Second, the bill authorizes a potential moratorium on new permits until some of the rulemaking required in the bill is complete. It is our understanding this includes three rulemakings that could take months to complete. We are concerned the impact of preventing all new oil and gas development for any period of time will have on Colorado’s economy. Finally, the bill authorizes local governments to regulate oil & gas operations. 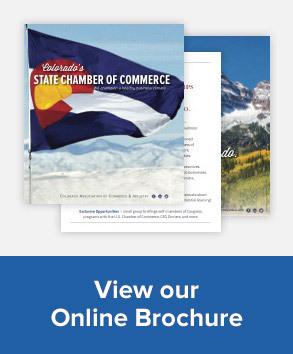 We are concerned this may create a patchwork of regulation around Colorado that will increase the burden on the industry and have an adverse impact on Colorado’s economy and business environment. For these reasons, we ask you to vote no on Senate Bill 181. Thank you and I am happy to try to answer any questions. Bill also testified against the bill on March 7th before the Senate Finance Committee. For more information about SB-181, contact Bill Skewes at 303.765.4766. “Colorado oil and gas reforms are amended, but continue to speed forward,” by Greg Avery, The Denver Business Journal, March 29th. “Colorado House gives initial OK to oil-and-gas rules,” by Joey Bunch, Colorado Politics, March 29th. “House gives preliminary OK to oil and gas bill that has roiled Colorado General Assembly,” by Judith Kohler, The Denver Post, March 28th.